How does arsenic get into chickens? Wondering why there is arsenic in chickens? The answer is quite simple- its in their feed as an FDA approved and legal additive. In other words, chickens eat a heckuva lot of arsenic, and it doesn't get eliminated through waste and stays, per the FDA, in chicken's "edible tissues". Since this is such a heated issue, let's take a step back and first establish that there is indeed, arsenic in chicken and that it is, indeed, a bad thing. 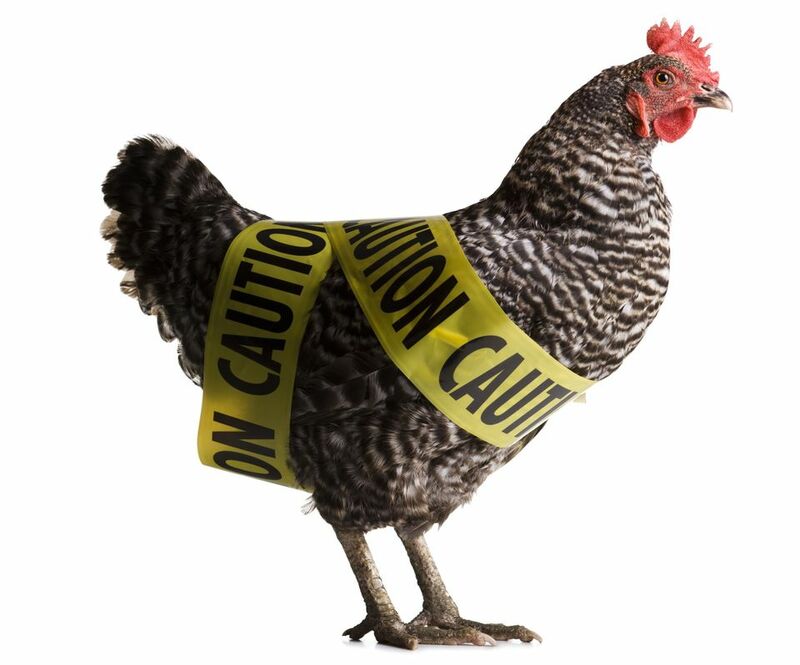 A New York Times article reporting on a university study out of Johns Hopkins found "levels of arsenic in chicken that exceeded amounts that occur naturally, and warned that they could lead to a small increase in the risk of cancer for consumers over a lifetime." The FDA allows this small amount of arsenic, believing it to be non-toxic, though admittedly the standards for arsenic have not been reviewed since 1940, per the article, and statements from the "National Chicken Council" brushing off the issue are less than reassuring. In particular, as the article explains, since per-capita consumption of chicken in the United States has nearly tripled in recent decades and at the end of the article, we learn that this such common practice that there are multiple companies selling arsenic-containing drugs to chicken farmers. Ultimately, this is done to shave a few pennies off the cost of the mass production and slaughter of chickens. According to labels on chicken feed with arsenic, the products claim “increased rate of weight gain, improved feed efficiency, and improved pigmentation.” In other words, feeding chickens arsenic allows them to grow faster so they may be slaughtered at a younger age. Chickens which can be slaughtered younger eat less over the course of their short lifetime, thus reducing production costs (and increasing overall production of chicken) and, to translate "improved pigmentation" into consumer parlance, chickens which eat arsenic have an aesthetically appealing pinkish hue when slaughtered. Perhaps the scariest thing about this excessive use of arsenic in animal feed is that all this arsenic does not just disappear- it stays in the environment. As such, even us vegetarians are not safe from the harmful effects of unsafe industrialized factory farming practices. Are You Getting Enough Nutrients on a Vegetarian or Vegan Diet?